Welcome back to Something About Coins! 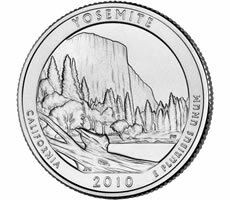 The new Yosemite quarter will get its day in the spotlight this Thursday, and British dollar coins are under scrutiny because counterfeits have skyrocketed. In other news, a free online service to organize coin collections was started, and highlights were given of an upcoming world coin auction in Boston.